Welcome to Banglalink 5GB Internet 499 TK Offer. All the Banglalink prepaid and postpaid customers are eligible to enjoy BL 5GB Internet 499 TK Offer. If you are Banglalink Connection users and you want to buy a low price Monthly Banglalink Internet Package, We recommend you First check the Banglalink 5GB Internet 499 TK Offer Details information. To activate Banglalink 5 GB @ 499 TK Internet Offer, Customers need to Dial USSD Code *5000*508# (with auto-renewal) or *5000*408# (without auto-renewal). VAT + SD + SC including in 499 Taka. 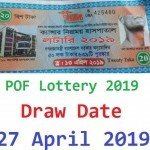 The Validity Of Banglalink 5 GB Internet Offer 30 days. Customers can use this BL 5 GB Internet Both 2G/3G area networks and uses time 24 hours. If Banglalink 5 GB Internet Volume End, Customers will be charged 1paisa/10KB and speed will be reduced to 128kbps to protect you from bill-shock. 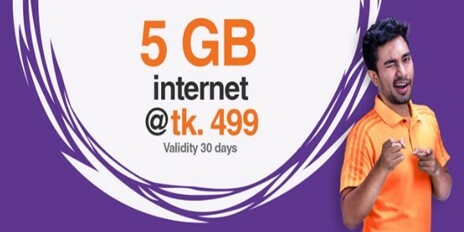 To check Banglalink 5GB@499 TK Internet Package Remaining balance, Just Dial *5000*500#. Customers can Deactivate this Banglalink 5 GB Offer any time, Just Dial *5000*536#. Once Customers deactivated this BL 5 GB Internet Offer, any unused volume will be forfeited. Thanks for staying with us a long time and visiting Banglalink 5GB Internet 499 TK Offer article. If you have Confusion or questions about the Banglalink 5 GB Offer, Just comment here. We reply as soon as possible with a correct answer.